Larisa Stow & Shakti Tribe are creating a vibration-raising revolution with their edgy blend of mantra-infused rock. 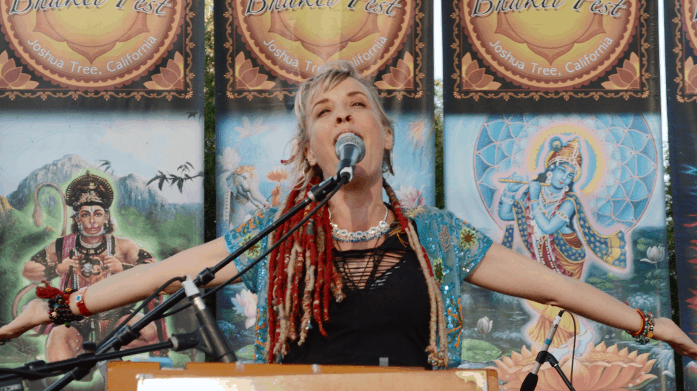 Fronted by Los Angeles Music Award’s “Singer/Songwriter of the Year” and force of nature Larisa Stow, the Tribe’s music is an East meets West fusion of English and Sanskrit. Shakti Tribe is Kimo Estores on lead guitar, Benj Clarke on bass & vocals, Richard Hardy (Carole King, Dave Matthews Band, Lyle Lovett, David Lindley) on woodwinds, Bethany Grace on Violin, and Keith Larsen on drums.